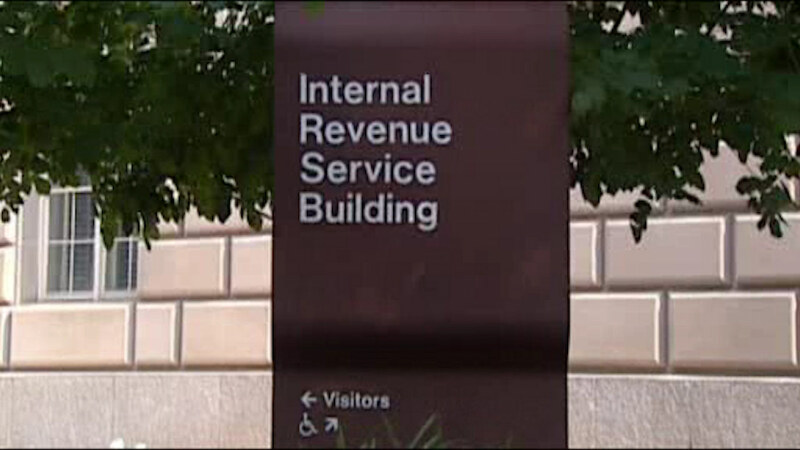 WASHINGTON (WABC) -- The Internal Revenue Service announced that Federal income tax refunds totaling $950 million may be waiting for an estimated one million taxpayers who did not file a federal income tax return for 2012. To collect the money, these taxpayers must file a 2012 tax return with the IRS no later than this year's April tax deadline. "A surprising number of people across the country overlook claiming tax refunds each year. But the clock is ticking for taxpayers who didn't file a 2012 federal income tax return, leaving nearly $1 billion in refunds unclaimed," said IRS Commissioner John Koskinen. "We especially encourage students and others who didn't earn much money to look into this situation because they may still be entitled to a refund. Don't forget, there's no penalty for filing a late return if you're due a refund." The IRS estimates the midpoint for potential refunds for 2012 to be $718, with half being worth more than $718 and half being worth less. In cases where a tax return was not filed, the law provides most taxpayers with a three-year window of opportunity for claiming a refund. If no return is filed to claim a refund within three years, the money becomes the property of the U.S. Treasury. For 2012 tax returns, the window closes on April 18, 2016 (or April 19 for taxpayers in Maine and Massachusetts). The law requires the tax return to be properly addressed, mailed and postmarked by that date. The IRS reminds taxpayers seeking a 2012 refund that their checks may be held if they have not filed tax returns for 2013 and 2014. In addition, the refund will be applied to any amounts still owed to the IRS, or their state tax agency, and may be used to offset unpaid child support or past due federal debts, such as student loans. $13,980 ($19,190 if married filing jointly) for people without qualifying children. Current and prior year tax forms and instructions are available on the IRS.gov Forms and Publications page, or by calling toll-free: 800-TAX-FORM (800-829-3676). Taxpayers who are missing Forms W-2, 1098, 1099 or 5498 for the years 2012, 2013 or 2014 should request copies from their employer, bank or other payer. Taxpayers who are unable to get missing forms from their employer or other payer should go to IRS.gov and use the "Get a Transcript by Mail" button to order a paper copy of their transcript and have it sent to their address of record. Taxpayers can also file Form 4506-T to request a transcript of their tax return. Taxpayers can use the information on the transcript to file their return. CLICK TO SEE potential refunds by state for individuals who did not file a 2012 return.